AIRHEAD® Double Handle Ski Rope - Double handle ski ropes have been popular for learning how to slalom for decades. Some experienced skiers also enjoy a double handle pull. This is the highest quality double handle ski rope ever made. The TPR tractor grip and 4” finger guards provide a comfortable and precise hold. You can’t miss the rope during deep water starts with this bright yellow and red color scheme. 75 feet long, 1 section. 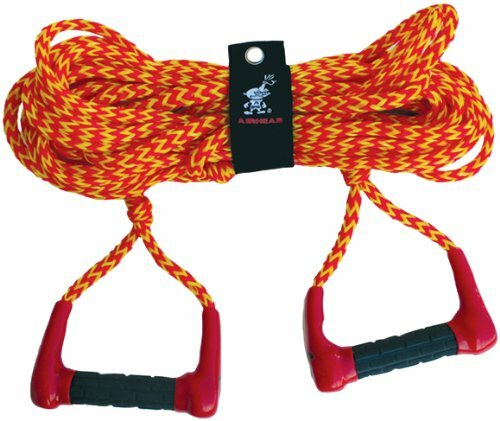 Description: - Double Handle ski ropes are great for acquiring the balance necessary when learning how to slalom ski - 75 feet in length and include a convenient rope keeper for tangle-free storage - great choice for a wide range of activities, including skiing, wakeboarding, wakeskating and kneeboarding - 1 inch diameter, 1 section - PE materialSpecification: - Color: RedPackage Includes:1 Piece Water Ski RopeNote:The size and style of the handle will be sent at random. AIRHEAD® Double Handle Ski Rope - Double handle ski ropes have been popular for learning how to slalom for decades. Some experienced skiers also enjoy a double handle pull. This is the highest quality double handle ski rope ever made. The TPR tractor grip and 4" finger guards provide a comfortable and precise hold. You can't miss the rope during deep water starts with this bright yellow and red color scheme. 75 feet long, 1 section. 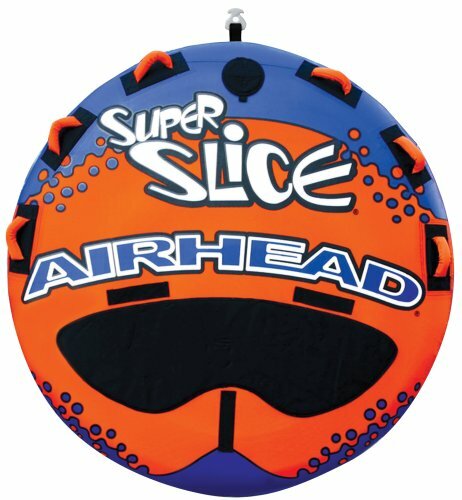 AIRHEAD ST-150 Trainer Water Skis - These 48 inch wood trainers make learning to ski fun for beginners under 100 lbs.. 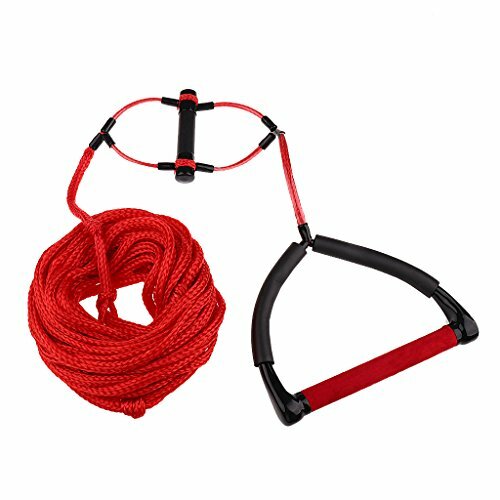 The double handle rope assembly, removable crossbar and ties at the tail make it easy to start and control. Designed for skiers under 100 lbs. The adjustable bindings fit child size 12 to adult size 5. Fiberglass reinforced nylon rudders increase stability and tracking. You'll have the time of your life on this "water weenie" designed for 1 to 3 riders. 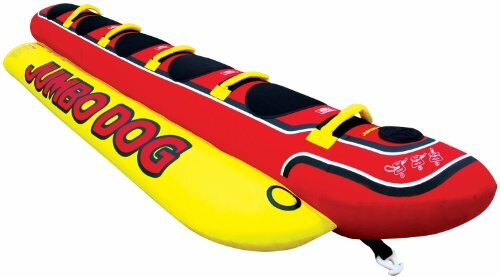 HOT DOG has deluxe nylon-wrapped handles with neoprene knuckle guards. There are three neoprene seat pads for comfort and to help you stay on top. It's a whopping 8-1/2 ft. long x 44 inches wide. Rope hook-ups are super easy with the heavy-duty Kwik-Connect. Three 30-gauge vinyl air chambers are fully encased by a double stitched 840-denier nylon cover. Equipped with an Airhead Multi-Valve for the ultimate in inflating and deflating convenience. Monster dog is more like it! You’ll have the time of your life on this “water weenie” designed for 1 to 5 riders. JUMBO DOG has deluxe nylon-wrapped handles. The neoprene knuckle guards and seat pads are for comfort and to help you stay on top. It’s a whopping 150” long x 44” wide (deflated). Rope hook-ups are super easy with the heavy-duty Kwik-Connect. Three 30-gauge vinyl air chambers are fully encased by a double stitched 1,680-denier nylon cover. 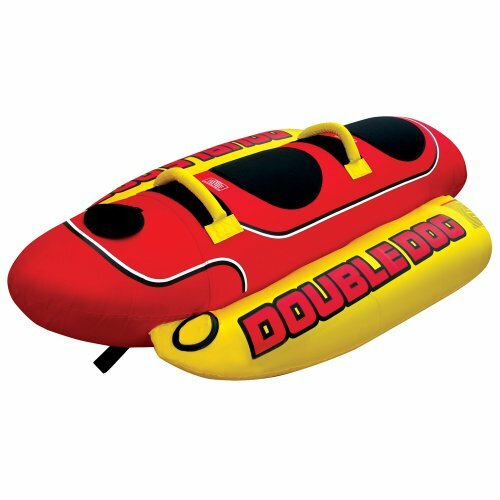 JUMBO DOG is equipped with a Boston valve for the ultimate in inflating and deflating convenience. Limited 1 Year Warranty. 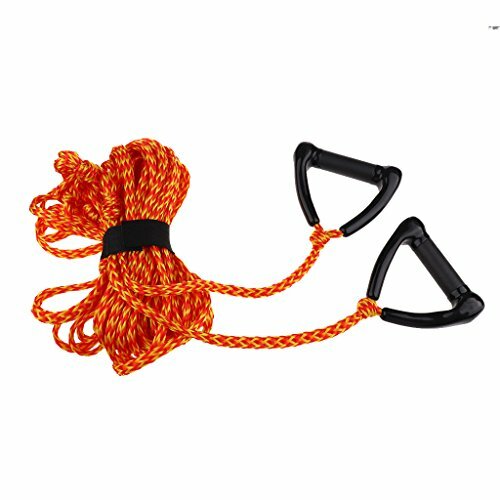 Looking for more Airhead Double Handle Ski Rope similar ideas? Try to explore these searches: Jade Vintage Necklace, Jeep Wagoneer Rotor, and vr6 Timing Chain Guide. Look at latest related video about Airhead Double Handle Ski Rope. Shopwizion.com is the smartest way for online shopping: compare prices of leading online shops for best deals around the web. Don't miss TOP Airhead Double Handle Ski Rope deals, updated daily.